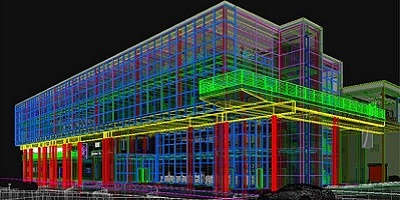 AutoCAD RCC/Structural Detailing software is built on the familiar AutoCAD software platform. It helps structural engineers, detailers, and fabricators to create steel detailing,concrete reinforcement detailing and fabrication shop drawings. AutoCAD Structural Detailing helps improve design accuracy by providing tools that automate the generation of more complete and comprehensive details, drawings, schedules, and material takeoffs. The software provides tools that help automate the creation of concrete reinforcement drawings and enable efficient modeling of steel connections and shop drawings. Why AutoCAD RCC is important to you? AutoCAD Structural Detailing is an intuitive and user friendly tool for creating shop drawings. One of its biggest advantages is the ability to customize styles according to your requirements, and its work environment gives you the flexibility you need on your projects. You can make use of country-specific structural detailing templates that come with the software and make structural drawings suitable for local and regional building codes promoted by almost all countries. The structural analysis module of the software helps you smoothly import structural steel models, and import Revit data - you can also use Revit data to make 2D reinforcement drawings. You can view concrete foundations as solid objects, and use intelligent structural objects to automatically generate shop drawings and improve data coordination in shop drawing sets. At CADD Centre, we help you master some of the following 'structural drafting & documentation' and 'structural element design productivity' features of AutoCAD's Structural Detailing software: 3D reinforcement beam design, using weld symbols in drawings, scheduling, customizable detailing and shop drawing, among others. You can create more precise detailing and fabrication shop drawings for a variety of concrete structures. You will learn how to create more precise detailing and fabrication shop drawings for a variety of concrete structures. You will know how to use Weld symbols in drawings for creating manual weld definitions. Schedules and material takeoffs to update schedules automatically. Customizable detailing and shop drawing styles to tailor shop drawings with customizable styles. You will learn how to make intelligent reinforcement bar definitions, use bar shape codes recognition. You will know how to produce schedules and material takeoffs automatically from drawings, or export them to Microsoft Excel or Microsoft Word software. You will learn to use customizable detailing and shop drawing styles to more freely adjust the look of final shop drawings with customizable styles for engineers and drafters.